The Riverview Cemetery is located behind the First Presbyterian Church at the corner of 13th and Ann Streets. 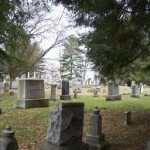 The Riverview Cemetery may be the oldest community cemetery in Parkersburg. 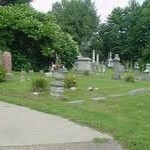 The cemetery grounds were originally part of a 2,400 acre parcel of land owned by Captain Alexander Parker for whom the city of Parkersburg is named. A man named, Joseph Cook from Massachusetts purchased 200 acres of the Parker’s land in 1802. The cemetery was first used by the Cook family and was thus known as the Cook Cemetery for many years. In 1843, one acre of the property was set aside to be used as a community cemetery. 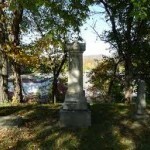 At this time, the cemetery became known as the Riverview Cemetery. 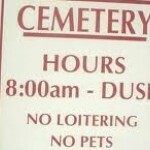 In 1925, the cemetery was 2.5 acres in size. It has not grown since that time and few new burials have happened here in recent years. A statue known to locals as the “Weeping Woman” has reportedly been blamed for pulling people’s hair, unbuttoning clothes, unzipping pants, and, occasionally, tripping people. 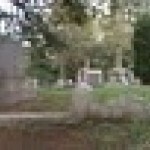 Orbs and other anomalies have been captured in photographs taken at the Riverview Cemetery. 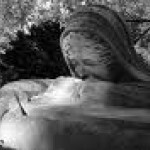 Disembodied voices have been reported as well as the apparition of a man in a black coat, croaching over a grave.